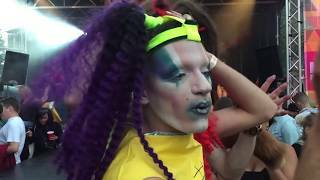 The Drag Queen Olympics are the world&rsquo;s premier Drag Queen sporting affair with events including the Handbag Throw, the 100m Stiletto Sprint and the Tug-of-War. Last year's competition saw 26 ladies from all corners of the globe come to compete in the Dutch Capital, with many world records shattered. 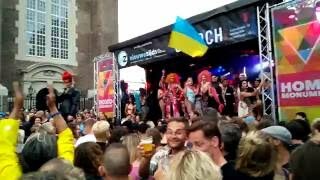 Drag Queen competitors wanting to take part can turn up from 5pm at the Homomonument with wig and heels. 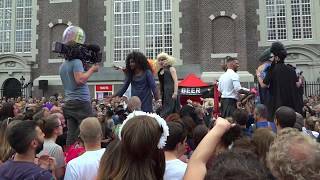 Visiting Amsterdam for Pride Drag Queen Olympics?